10gen, the company behind MongoDB, has announced the general availability of MongoDB Monitoring Service (MMS), a new monitoring service that is available free of charge to all MongoDB users. MMS provides visibility into current and historical operations to facilitate proactive alerts, support and response on system performance and availability. Revolution Analytics has announced that it will integrate Cloudera's Distribution with Apache Hadoop (CDH3) with its Revolution R Enterprise platform to create a joint offer called "RevoConnectR for Apache Hadoop." The product is meant to enable R developers to access Hadoop data stores and write MapReduce jobs directly with R.
This post demonstrates how to build a graph-based movie recommender engine using the publicly available MovieLens dataset, the graph database Neo4j, and the graph traversal language Gremlin. This blog post walks you through how you can use QueryDSL to provide type-safe queries when using Spring and MongoDB. A triangle exists when a vertex has two adjacent vertexes that are also adjacent to each other. Using friendship as an example: If two of your friends are also friends with each other, then the three of you form a friendship triangle. This concept is useful for understanding social networks and graph analysis in general (e.g. it can be used to compute the clustering coefficient of a graph). This post compares the solution of counting triangles using Hadoop, PIG, and Vertica. This tutorial shows how to create a PageRanking for Wikipedia with the use of Hadoop. The Wikipedia (en) has 3.7M articles at the moment and is still growing. Each article has many links to other articles. With those incomming and outgoing links we can determine which page is more important than others, which basically is what PageRanking does. This is the first post in a series of posts that will show you how to create a search engine using standard Python tools like Django, Celery and Whoosh with CouchDB as the backend. This post explores a specific use case for Apache Hadoop, one that is not commonly recognized, but is gaining interest behind the scenes. It has to do with converting, storing, and searching email messages using the Hadoop platform for archival purposes. Enda Farrell discusses how they ported Nokia's places registry to NoSQL, the reasons, the complexity involved and the lessons learned along the way in terms of people, tools and data. Castle, an open-source project, is a ground-up overhauling of RAID, file systems, and the POSIX interface. The target is 1 million random inserts per second to disk on a $1,000 commodity box, and we're nearly there. Castle is also the core of the Acunu Data Platform, which delivers up to 100x higher performance for applications written for Cassandra and other tools. In this talk, Tim Anglade explains the best practices that he has observed, tried and implemented, from a large pool of examples that includes the customer apps he has helped optimize and debug, as well as his own. The article covers some of the features of the Apache Hadoop security infrastructure that will help cluster administrators fine-tune the security settings of their clusters. In this webcast, Oren Eini and Nick VanMatre, Solutions Architect at Archstone, sit down to discuss the scaling options for Archstone's newest project, a re-architecture of their internal and external apartment-management applications. Discussed are the options for scaling RavenDB, including sharding, replication and multi-master setups. This is a presentation on how Showyou uses the Riak datastore at Showyou.com, as well as work they have been doing on a custom Riak backend for search and analytics. This post shows you how to get started with MMS(MongoDB Monitoring Service), which is a free hosted monitoring service for MongoDB. In this interview, Dag Liodden, VP of Engineering at Tapad talks about their NoSQL strategy and how they optimize their platform with different types of data stores for their various needs. Monotable aims to provide a reliable distributed key-value data store, intended primarily for storing large numbers of small files. Monotable is implemented in a combination of Ruby and C.
DataFu is a collection of user-defined functions for working with large-scale data in Hadoop and Pig. It is used at LinkedIn in many of our off-line workflows for data derived products like "People You May Know" and "Skills". Professor is a web application with corresponding command-line tool to read, summarize, and interpret MongoDB profiler output (for MongoDB 2.0 and later). Cherrys is a Redis backend for CherryPy sessions. This webinar is an introduction to using MongoDB with PHP. The presenter will demonstrate how to connect to the database, perform CRUD operations and perform queries. Finally, he will summarize the community tools and libraries available for PHP and discuss why one would use them. The presenter will introduce the Platform MapReduce architecture and enterprise-required features such as High Availability support. The discussions will cover development and IT topics including integration and advanced management of Hadoop programs. The session will include interactive demonstrations of the platform. October Hadoop meetup has three great talks this time around the theme of data integration. Mongo Munich is a one-day conference dedicated to MongoDB. We'll have a high-level overview of the Hadoop ecosystem and what it's used for, and the companies involved in LA-HUG will have an opportunity to present the ways they leverage Hadoop for real-world applications. Hers is a list of the new books that are published this month. This comprehensive hands-on guide presents fundamental concepts and practical solutions for getting you ready to use NoSQL databases. The author begins with a helpful introduction on the subject of NoSQL, explains its characteristics and typical uses, and looks at where it fits in the application stack. Unique insights help you choose which NoSQL solutions are best for solving your specific data storage needs. If you're looking for a scalable storage solution to accommodate a virtually endless amount of data, this book shows you how Apache HBase can fulfill your needs. As the open source implementation of Google's BigTable architecture, HBase scales to billions of rows and millions of columns, while ensuring that write and read performance remain constant. This book provides meaningful answers, whether you’re evaluating this non-relational database or planning to put it into practice right away. Our traffic numbers are growing, and so is our list of feature/project ideas We are therefore looking for a backend engineer that can help with scaling, extending, and evolving our backend infrastructure to handle all this. The person we hire will play a very integral part in engineering. We expect the person to work on everything from architecture, implementation, infrastructure management, and firefighting -- just like the rest of us. Motivated by big scale challenges? 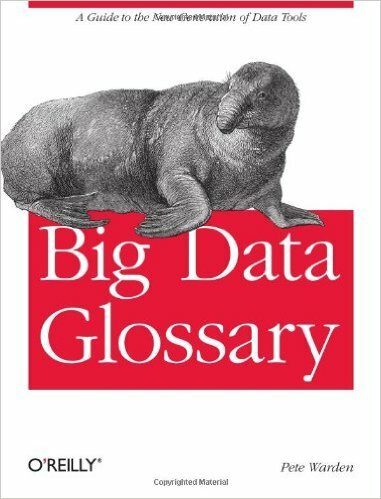 Have a passion for big data problems related to search? The Jive Big Data team is looking for experienced search engineers to build and improve big data processing pipelines and search indexing on top of Apache Hadoop and HBase. Our team works extensively with open source software on big data, social graph, and machine learning problems.